A-Best Termite and Pest Control, Inc. provides the highest quality service in residential pest control and exterminating industry today. Using the latest equipment, products and treatment techniques available, we can solve just about any pest problem your home may encounter. Our state certified service technicians are trained to evaluate every residential pest control problem on a case-by-case basis. We are not a one size fits all company because our experience proves every home like every person is different. At times, there’s more than one solution to solving a pest problem. We “Customize” a service plan to meet your particular needs and yield the best results. 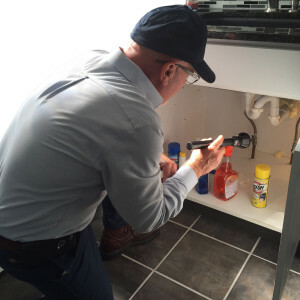 Ongoing education and training by all of our technicians ensure that we are using the latest techniques safely and effectively and remain compliant with current laws. We regularly read peer-reviewed publications related to pesticides, infestations, and ensure we are meeting all your needs in a way that keeps you safe and stops your problem. Not all insects are covered under this program, however more may be added. Please speak with one of our specialists. The initial treatment: Applied to interior and exterior of your home any time of the year. We will work with you to schedule a time that is convenient for you. Remaining 2 treatments: Applied to the exterior (foundation) of your home. We do not call ahead for these services as they are applied to the outside of your home. Our power spray treatment in the spring is designed to prevent wasps and other stinging insects from establishing themselves on your property. In addition to the outdoor application, we treat high moisture areas such as basements, kitchens, and baths. We always notify you prior to your spring treatment. We’ll call you and schedule a time that is convenient for you to have us out for your application. Be advised that your windows do get streaked from this treatment. You can easily wash it away after the treatment is complete. The summer treatments are administered outside your home. Since we do not need access to your home, we stop by when we are out servicing your area, which is a cost-saving measure that we pass along to you. We service your home between July and August. Not only do we apply your treatments, but we also inspect for active stinging insects, such as yellow jackets, bees, hornets, and wasps nesting around your home. Like our summer treatment, the fall treatment is also applied to the exterior of your home. One of our specialized technicians will visit your property between September and October to treat the foundation of your home. During this time of year, we’ll also be looking for spiders, mice, and other over-wintering pests that commonly enter your home during the fall. Our techs will inspect, identify points of entry, and provide an effective barrier, so these pests do not cozy up in your home over the winter. With our Pest Guard program, we protect your home for 12-months. With this program, you do not have to worry about pests invading your living space. We know the difference we make for our clients. 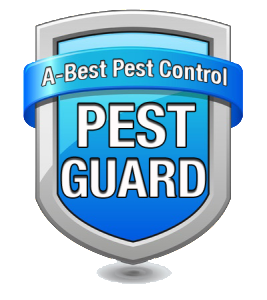 Call us today to learn more about our Pest Guard program! The general area surrounding your home will typically dictate which type of service will work best for you. Usually, larger areas and landscaping require more attention. As you read above, we are not a one-size-fits-all kind of company. We understand the complexities and uniqueness of each property. It all starts with an inspection. Here we can see first hand what the problem is and pinpoint where it starts. Once we’ve identified the problem, we work to solve it. Our experts strategize the best way to rid your home of pests. They’ll sit down with you and discuss how they’ll solve the problem, what’s involved, and what to expect, so there are no surprises. Let us inspect your home and implement the most effect method available. A-Best employs Ohio Department of Agriculture-trained technicians certified in termite and pest control. After a thorough evaluation of your property, we will recommend a treatment plan tailored to your situation – your home’s construction, where it is situated and the degree of infestation and damage present. Exterior seasonal bee and wasp control. Keep these stinging insects from nesting in your home, decks and porches for the entire summer with our A-Best process. You will be happy to know that A-Best can eliminate any carpenter ant problem you may have in your home. Our licensed technicians are trained to seek out the source to the root of every carpenter ant problem – which is the colony or colonies that are often located inside or outside your home. Bed bugs are a new and growing pest in our area. Our A-Best technicians have attended new and updated training sessions on ridding your home of these disgusting creatures. Our A-Best trained personnel can help you identify and eliminate a wide variety of other insects that may infest your home. These insects include Asian lady beetles, spiders, earwigs, silverfish, pill bugs, and sow bugs. Call us or bring in a pest sample for us to identify and suggest how we can rid your home of these unwanted pests. Rodents can be very damaging to your home. Seeing just one rodent usually means there are more. Call us for a complete inspection. Don’t wait until damage happens to you.